The browser is supported but is the OS? Last month Yahoo! 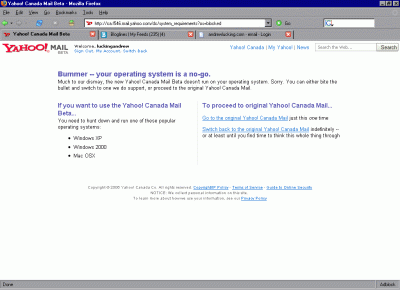 began an open beta of Yahoo! Canada Mail. I’ve been using it for a little bit now and have to say I’m really digging the new drag and drop functionality and pane based layout. Some real nice improvements. What baffles me though is the operating system requirements for using the beta. If you want to use Yahoo! 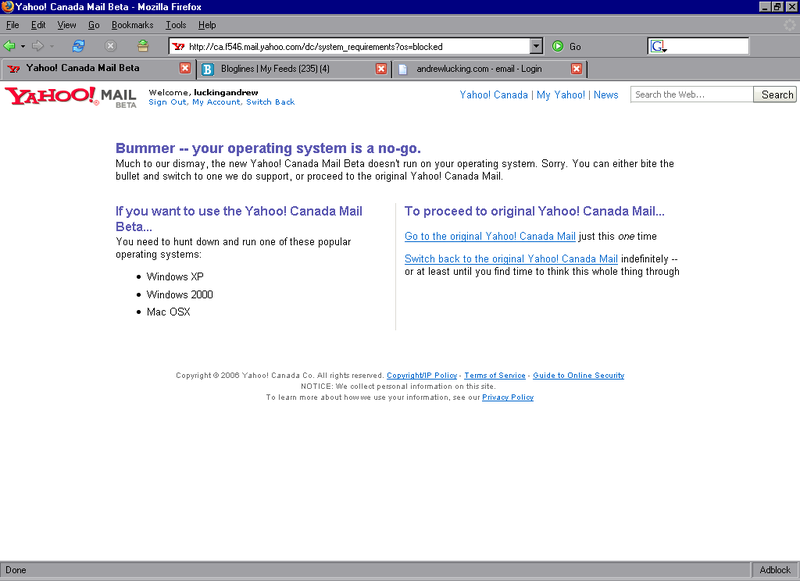 Canada Mail Beta you need to be running Windows 2000, XP or Mac OSX. Really? I can understand requiring a modern browser but a web based app running in a supported browser with OS requirements? also do same iin favor of y?u.